Experience shows that quality, functionality as well as a simple start-up are important criteria for image processors when selecting a product. In most cases, the composition and integration of components into a functioning system is a challenge that should not be underestimated. Why not rely on components that fulfil these needs and make integration easier?! 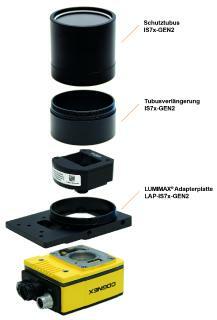 iiM AG offers the new High Power LR50 ring light for exactly this purpose under the LUMIMAX® brand in the field of Machine Vision lighting. This LED light is a compact version of the trusted LR70 ring flood light with smaller external dimensions, much lower weight, optimised performance, however with the same functionality. 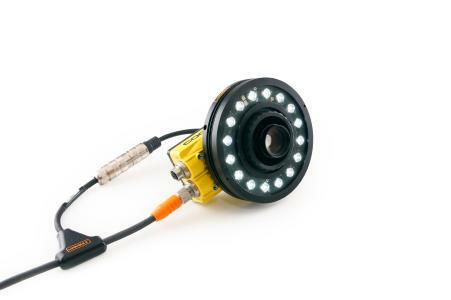 16 High Power LEDs in combination with replaceable LED lenses (various beam angles available) achieve optimum irradiances at working distances from 0.25 m to 2 m. The robust aluminium housing with protection class IP67 also ensures use in difficult environmental conditions. 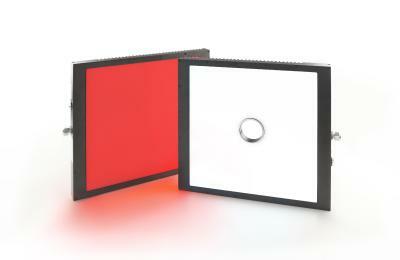 The LR50 ring light is available in two operating modes. One in continuous/switch operation and one as a flash version. 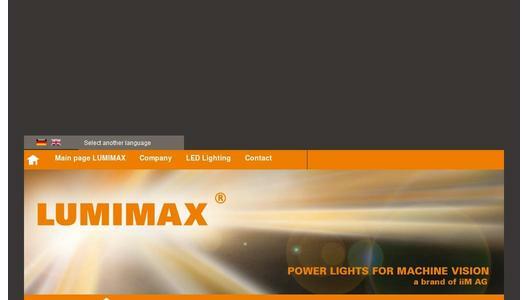 The complete controller technology is integrated into the lighting housing of both versions. Furthermore, extremely fast switch and trigger inputs guarantee load-free switching and flashing. The electrical setup of the light takes place via a 12-pole M16 connection at 24 V.
The new LUMIMAX® ring light range is complemented with extensive, optimally coordinated accessories. Using polarising filters, Fresnel and diffusor lenses, the distribution of light can be optimally adapted to the respective application. In combination with a LUMIMAX® T-Adapter cable and a matching LUMIMAX® mounting solution, the LR50 can be connected directly via the camera and integrated in an extremely flexible way. iiM AG measurement + engineering is the developer, manufacturer and distributor of high-quality, high-performance products for Machine Vision. 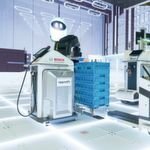 In Suhl, we develop and manufacture high-performance and highly functional LED lights under the LUMIMAX® brand for Machine Vision applications in a very wide range of industrial areas, such as for the automobile, semiconductor, pharma, food, drinks and tobacco industries. A second division develops and markets special measuring technology and peripherals for the cable and wire industry to record geometric features, particularly on insulating covers and cable sheathing, in accordance with standards. A team of over 40 engineers, technicians and skilled workers assists our customers as a partner when realizing their challenging tasks. In order to guarantee a high standard of our processes as well as continuous improvement, we annually undergo an inspection of our Quality Management System according to ISO 9001:2015 and are certified by DEKRA Certification GmbH.